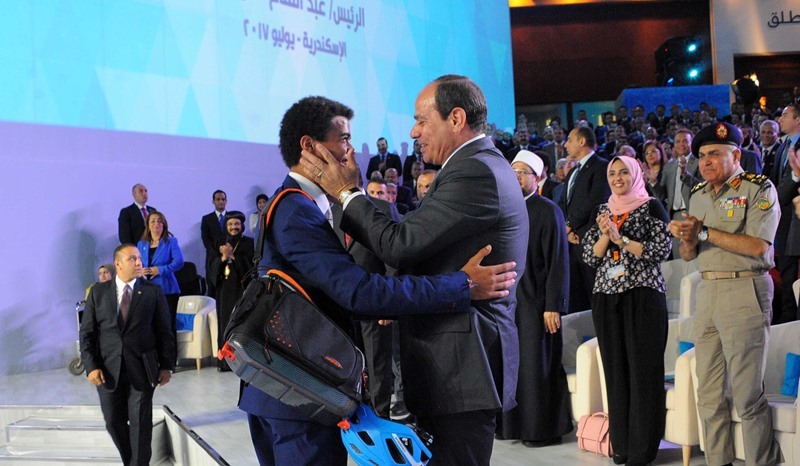 The fourth National Conference for Youth was recently held over two days in Alexandria at the Bibliotheca Alexandrina, under the sponsorship of President Abdel-Fattah al-Sisi. Participating were some 1,500 young Egyptians from Egypt’s various governorates; some represented a number of universities. Many had submitted requests for participation in the conference through its official website. 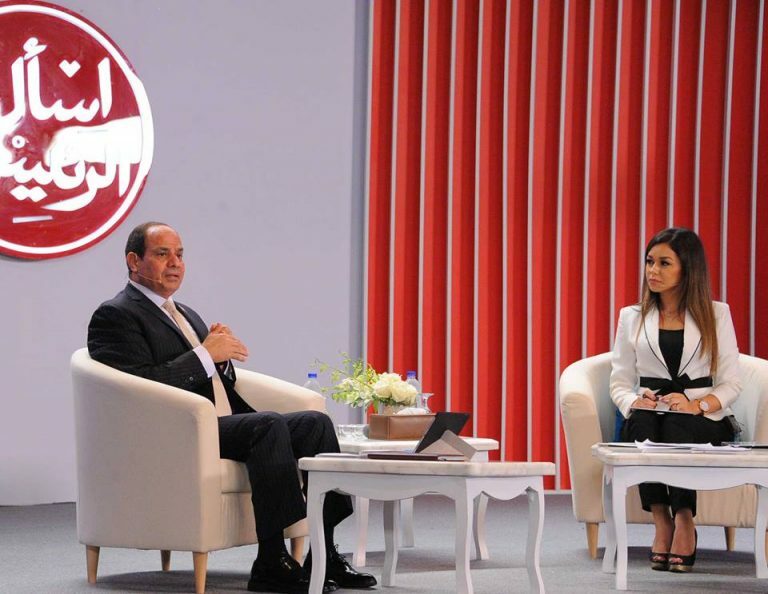 President Sisi attended the conference, as did the Speaker of the Parliament Ali Abdel-Aal and public figures from the political and cultural arena; intellectuals, journalists and media figures; and representatives of the National Council for Women and the National Council for Human rights. The conference honoured the name of Safaa’ Hegazy, former Egyptian State TV anchoress and head of the Egyptian Radio and Television Union, who passed away last May 2017 while in her fifties. President Sisi honoured a number of young Egyptians for excelling in different fields and becoming role models for Egypt’s young. Among them were Abdullah Saïd Hassan, a computer engineer, for his project that works to enhance the education process through creating an interactive network for teachers; interior-designer Shaimaa’ Abul-Kheir who was awarded in 2016 an international prize for best furniture design; pharmacist Rasha al-Sayed Ahmed who won a prize for her initiative ‘Hepatitis C free Beheira [a West-Delta governorate]’; and Peter Ibrahim Kamal, inventor of the ‘smart museum’. 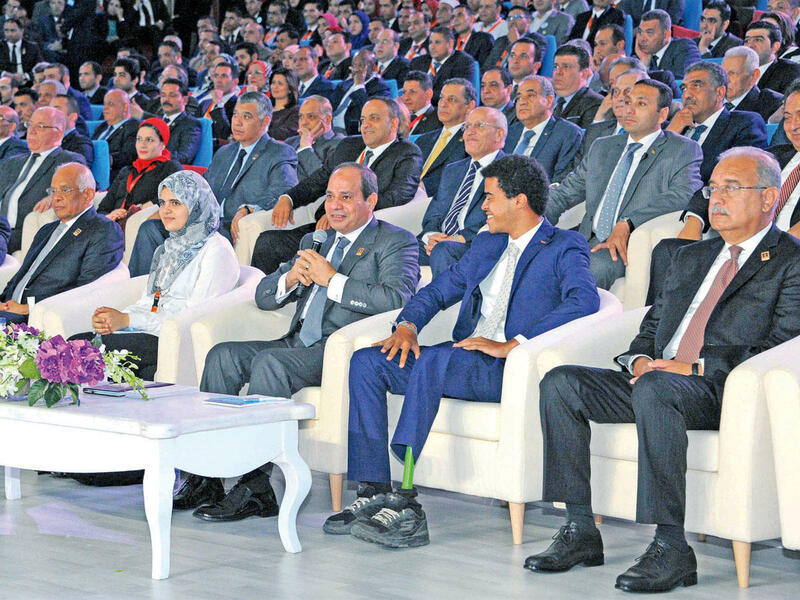 Mariam Fathal-Bab, the 18-year-old who ranked top student nationwide in Thanawiya Amma, Egypt’s secondary school certificate, sat on the President’s right hand during the opening session of the conference. Mariam comes from a poor family: her father works as a porter, she has four siblings, and the family lives in a single room in a garage of a large building in Cairo. She was a student in one of Egypt’s typical, much-criticised, over-crowded and underserved State schools that are almost unanimously branded as failures. Yet she was able to make good use of what was at hand, and earned top marks. On the President’s left hand sat another exceptional figure, 18-year-old Yassine al-Zoghby who graduated from Thanawiya Amma and the French Baccalauréat this year. Zoghby lost his left leg in an accident when yet 12; he was hit by a motorboat propeller while swimming at sea. He got a prosthetic leg and took up bicycling as a challenge. He excelled in the sport and has toured Egypt on bicycle. Before the recent conference convened, Zoghby toured the northern governorates of Kafr al-Sheikh, Beheira, Alexandria, and Marsa Matrouh on his bicycle, collecting people’s complaints, demands, and remarks to present to President Sisi at the conference. 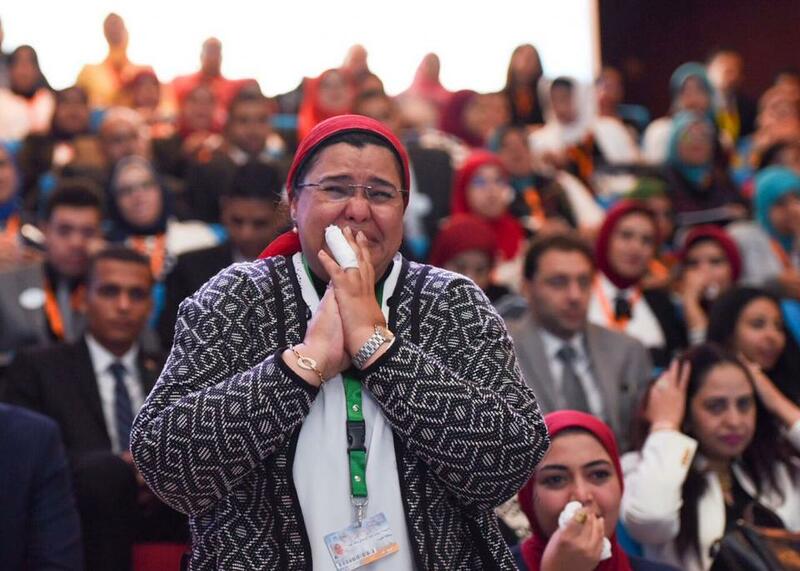 A documentary was screened on the national youth conferences and their roles as a communication bridge between young people and those in authority in Egypt. It reminded viewers of their resolutions of the three previous conferences, and showed their achievements. The conference concluded with several resolutions. Egypt’s youth demanded the State’s full support for their call for a world youth forum which would be attended by various heads of State, that would work towards the integration of civilisations and relay a message of peace and love. They suggested that the State should engage Egypt’s youth in monitoring the implementation of the 2030 Egypt Development Strategy. They also drew attention to Alexandria which had hosted their conference and which, they said, was in need of expanding the urban area while preserving its southern agricultural land, constructing traffic axes, and upgrading slums. The conference also proposed that the town of Rashid, Rosetta, famous for its rich architectural heritage, should be conserved; that Beheira governorate would host a large industrial area; and that an agricultural stock exchange should be established in Wadi al-Natroun. The government was asked to promptly review all the demands and complaints conveyed by Zoghby, and to inform the public of the outcome. A demand was made for the establishment of cultural venues in the new Administrative Capital, new towns, and in Upper Egypt. This included opera houses, libraries, theatres, heritage centres, museums and creativity workshops. The Youth Conference recommended, as a major development step, that the Cabinet should complete the administrative division of Egypt’s governorates, so that desert areas would be added to Upper Egyptian governorates which should then have borders that extend eastwards to the Red Sea. If anything, the resolutions demonstrated that Egypt’s youth have outgrown narrow, self-centred problems, and feel they are part and parcel of Egypt; hence their concern about problems that affect Egyptians in their entirety, young and old. The future is theirs; problems ignored today will plague their lives tomorrow.